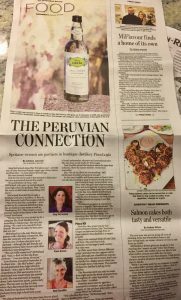 Two Spokanites partner to create boutique distillery of Peruvian Pisco. Learn where to buy PiscoLogía in the Inland Northwest! ©2017 PiscoLogía & Topa Spirits. All rights reserved.